The fact that human memory is limited pushes people to write their reminders and other important notes on a piece of paper or sticky notes and on their laptops and computers. This makes you organized and makes everything in order. When making a note, conciseness and preciseness are necessary not only to conserve space but also to make your writing easy to understand and recall. One way to make a note that is easy to comprehend is through a list. A list enumerates related information in a brief and direct manner. More of these list discussions as well as templates and examples are presented below. 1. Heading: You must clearly define the purpose of your list. A person can have several lists each with a purpose different and distinct from the others. 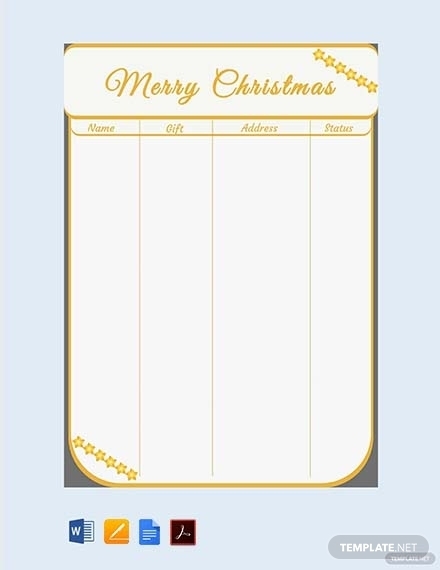 In order to make your list distinct from the others, a heading is essential. It must be placed on top of the list so it can easily be seen. It is best to be specific when making your header to avoid confusion. When you are creating a list for your organization or company, you have to make sure that the heading is easily understandable among the members of the team whom you are sharing the list with. You may also see reference list examples. 2. Guidelines: Although you have a heading placed on top of the list, it is also equally important to include guidelines that will help your audience understand your list. Since a list comprises a very broad scope, there are a lot of things you can do using a list, and the guidelines on how to do it must be contained on the list itself. This will explain further what the list is for and what they can contribute if the list consists of tasks that must be accomplished among the group. 3. 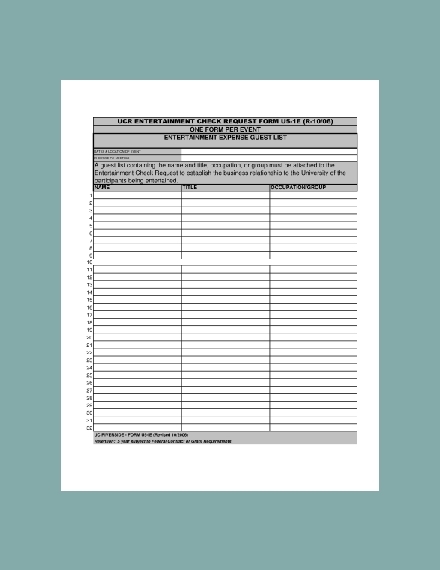 Format: Depending on your purpose or your discretion as the creator of the list, you can make a list in bulleted or numbered format. 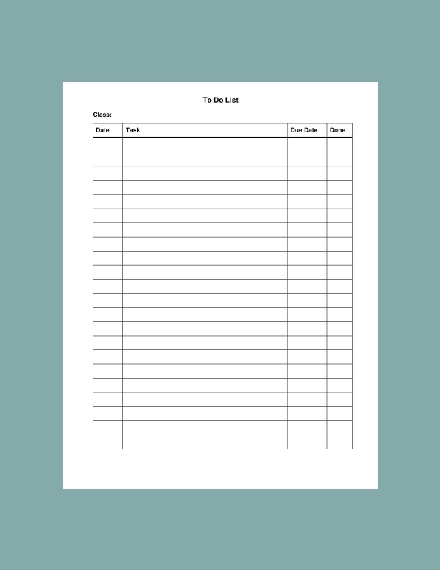 Numbered lists are typically used for items that need to be listed in chronological order such as a step-by-step guide or to-do list. On the other hand, the bulleted format can be used when listing items that do not need to have in sequence or in hierarchy. The order of the items on this kind of list can be interchanged, so there is no need for the list to be numbered. 5. 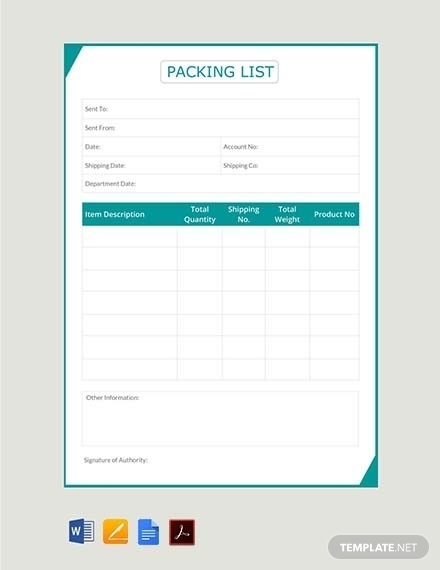 Description: For simple lists or lists that include only few items, you might not need to include the description for each item on the list, but if you are making a huge list of many items, it is essential that you include a brief description for each item in order for you to remember why you included such item in the list. 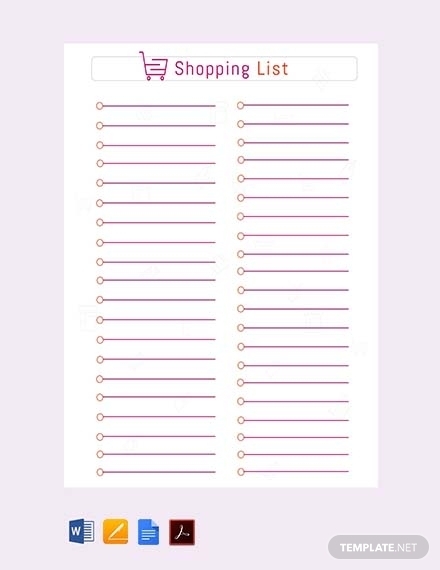 This would also help you disregard unnecessary items and prioritize those that really need to be part of the list. Your description must include a reason why it needs to be on the list or why you need to accomplish it. 6. Dates: The date you are creating the list is also an important element that must be present in your list. This is in order for you to recall the date you make the list. Moreover, other important dates that must be included in your list, especially when you are writing a list of tasks of to-do list, are the specific dates when you need to accomplish those tasks. Due dates must also be stated if there are any. The bottom line is, as much as possible, there must be a reference date in every task specified in your list. 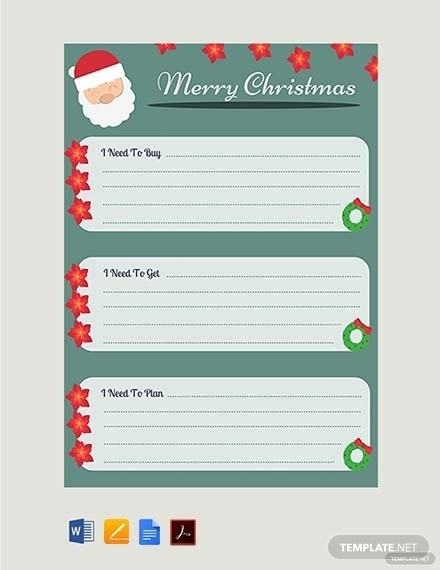 You can use a list for a wide variety of purposes whether you are at home, in school, or your offices. 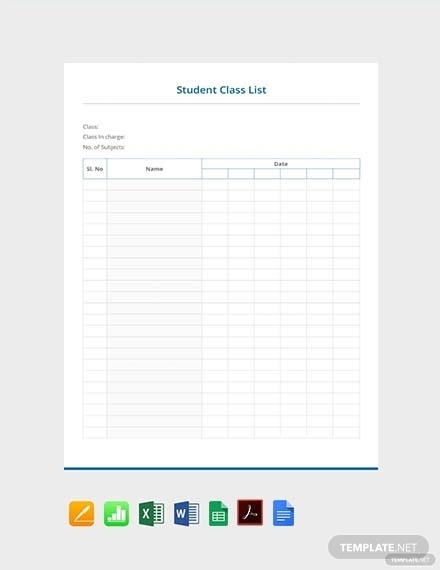 A list can help you in so many ways, thus regarded as a versatile tool that will help you in your scheduling and day-to-day activities. Depending on your purpose, you can create different types of tasks that suit your needs. Here are the common types of list that are typically used by individuals and even organizations. Bucket list: This is a typically used list that features the tasks or activities that a person wants to do or achieve before a certain period of time, for example, before he turns 25 or before the year ends. It is often about listing the places the person wants to visit, the historical places he wants to see, or the food he wants to taste. To-do list: While a bucket list enumerates fun and inspiring things one wants to achieve, a to-do list contains items that one must do especially chores or some other work-related task. In a to-do list, it is best that you list the items in a chronological order, the first item on the list being the most urgent and with the greatest priority and the last item being the least priority or those that are less important than the previous ones. You can sort out your tasks by determining first which ones are urgent and important, then urgent but not important, not urgent but important, and not urgent and not important. To-try list: This type of list contains the things one wants to try, hence a to-try list. For example, a person lists all the titles of the books that he wants to read, the title of the movies he wants to watch, and restaurants he wants to try out. This list will help one get reminded of the things that he wants to try out so he would not miss any opportunity to get these things done. 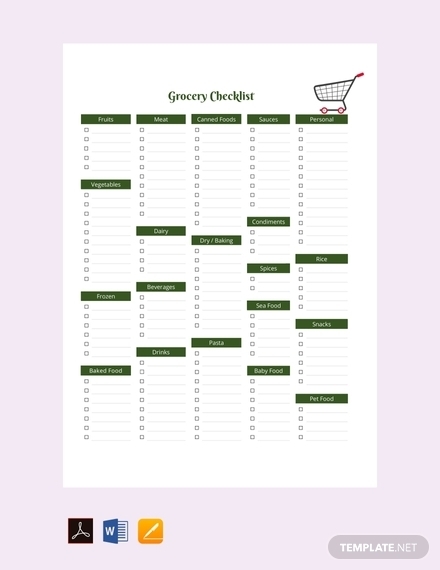 Grocery or shopping list: Not just for moms, a grocery list can help many individuals list the products or items that they need to purchase in a grocery store. It will help people not only not to miss anything when they are buying their grocery but also to stay on their budget. Contact list: This list contains the name and contact information of important people. It can be used for personal as well as for organizational purposes. For a personal contact list, it usually contains the emergency contacts of the creator of the list. In a company contact list, it contains the name and numbers of clients, employees, suppliers, and partners. Inventory list: Every business entity has an inventory whether they are merchandising, manufacturing, or service entities. An inventory is the lifeblood of a business for this is what they can offer to their customers. Hence, it is important that a list of inventory must be made for every business company to keep track of and manage their inventories. Ideas list: There are times that you just get an idea randomly out of nowhere. In order to keep these good ideas and store them for future purposes, creating an ideas list will help you remember them easily whenever you need them. Bibliography: At first glance, this may not seem to fit as a list, but when you look closely, a bibliography contains a list of the books, articles, or journals where you can find information for a piece of written work. Blacklist: Commonly found in business establishments such as clubs and restaurants, this type of list contains the name of people or contact numbers that an organization or individual does not approve of or avoid to be part of the group. These people might have done a serious offense, the reason why they are being banned from such organizations.You may also see class list examples. Blue book: While a blacklist contains information of the people who are not allowed in a certain group or organization, a blue book is the complete opposite: it contains the names and contact information of the people who are socially important or significant to the organization. Laundry list: You might think at first glance that this contains a list of your shirts or pants needs to be washed. However, that is not really the purpose of a laundry list. 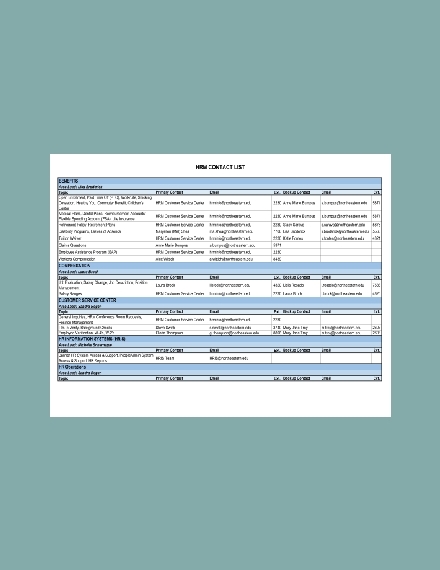 A laundry list comprises of the items that someone needs, wants, or has to do, basically similar to a to-do list.You may also see vendor list examples. Waiting list: When you are delegating important tasks to your members or the team, a waiting list can surely help you. 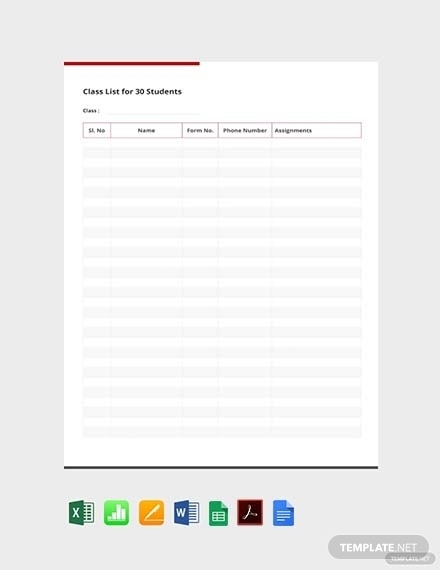 It contains a schedule for appointments and important information to get the work done. 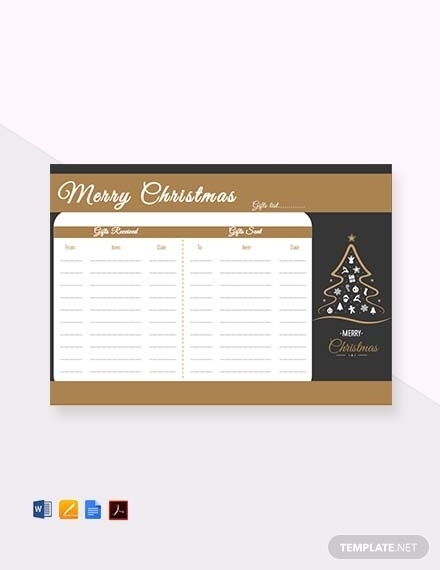 Gift list: During the Christmas season, it is common for people to give gifts to their families and friends. Forgetting to give a gift to someone important to you may be a little bit embarrassing. 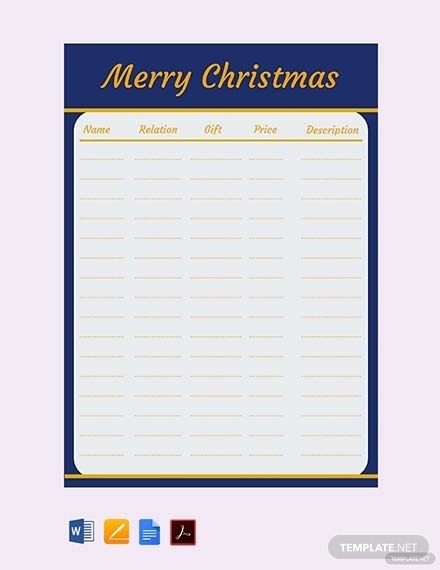 In all other occasions, it is important that you create a list of the people you need to give a gift so you won’t miss anything when you purchase your gift and you can set the budget for your gifts. Having a birthday list will also help you be reminded and prepare on who to give gifts and when. Someday or maybe list: Similar to a bucket list but without setting a time frame, this type of list contains the things or activities that you want to try in the future. The items listed are not a must but are those that you are considering to do or try someday. Index list: Considered as the king of all lists, this list contains a list of all your lists in order to keep track each one of them. 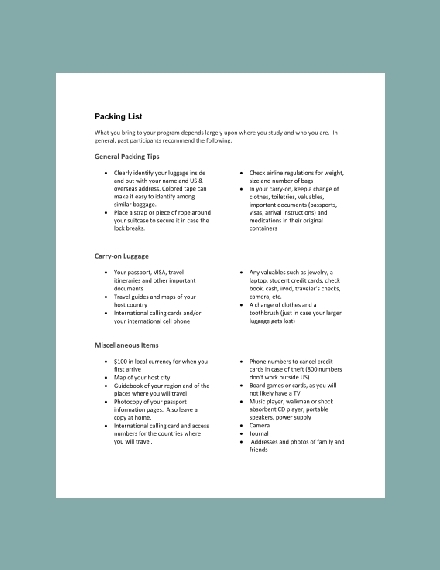 Packing list: A packing list is a list of the things you need to pack for your travel to remind you of the important things you need to bring. Creating a list would enumerate all the important points, may it be your lessons, names of people, grocery to be purchased, things to do, among others. It also serves as a reminder that makes people remember or recall what they missed or what else they need to do or accomplish. It can be used by anybody, for any purpose, anytime, anywhere. 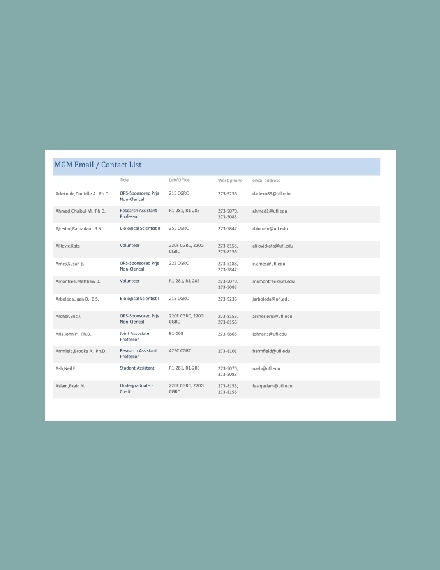 You may also see address list examples. What are the benefits of a list? 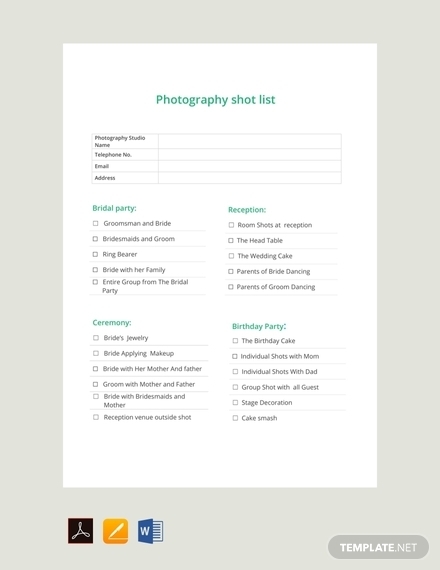 Because a list is a versatile document, as stated above, it can serve many purposes, hence an effective tool in completing tasks, achieving goals, among others. Other benefits of a list may include the following: an effective tool to reduce failure, aids memory and attention, guarantees completeness in carrying out a task, compensates for potential human memory limits, and ensures consistency.